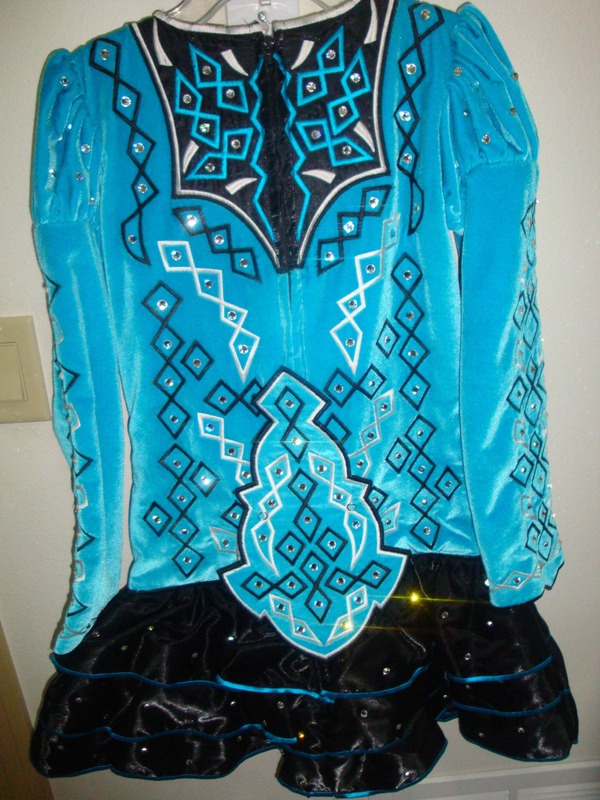 Almost new, stunning turquoise and black champion dress, worn only a few times. 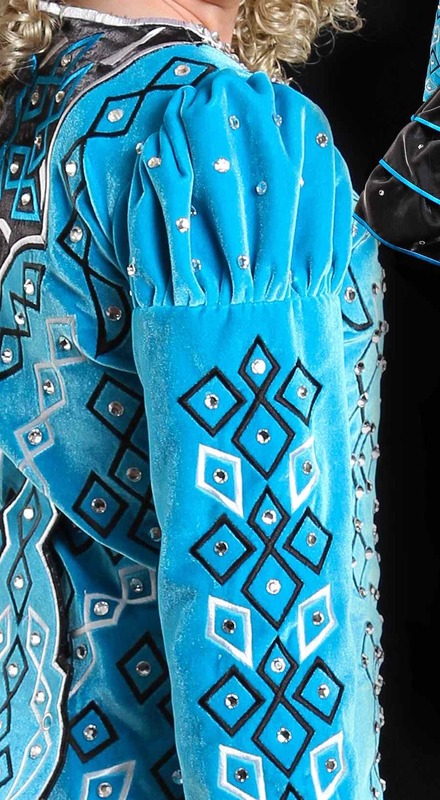 Unique black and white diamond embroidery covers the deep turquoise velvet fabric on the front, back and sleeves of dress. 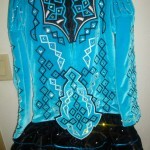 Over 3 gross Swarovski crystals, including crystal ‘belt’ on front drop waist (not shown in photo). 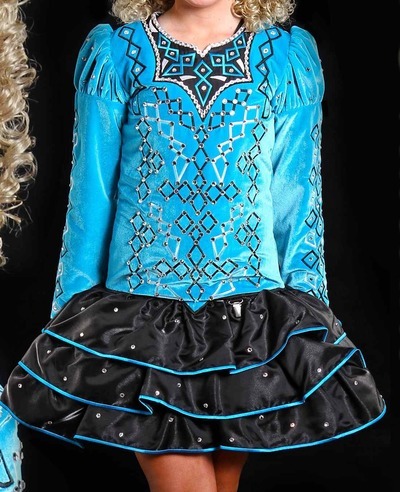 Bloomers and crown included. Asking Price: $US900. Shipping costs are: Are included for my own country, overseas shipping is extra. Returns are negotiable.